Well. Let's try this, shall we? 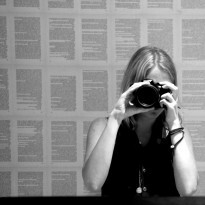 I'm @paperiot on Twitter. And anywhere else on the Internet. (As reviewed on my blog, Paper Riot. )This is by far the most difficult review I've ever written. I know I say that a lot, but this time, it's 100% true. 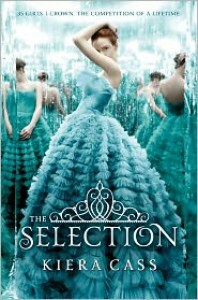 As a fan of cute stories and fairy tale-esque settings, The Selection sounded like a book I would fully enjoy. And though I definitely ended up enjoying it, it took me some time to get there. Because while I was expecting this book to be light, there's a difference between a light story and a story that needs work. For me, The Selection was the latter and didn't give me enough depth to enjoy it all the way through. With questionable world building and cliche dialogue, I had difficulty getting into this story.Which may have had to do with the first part of the book consisting of America and Aspen - together. Now, I understand that teenage love can be blinding, but I swear that the first 100 pages were nothing but I-love-yous and let's-get-marrieds and I'm-the-man-I-need-to-provide-for-you-Americas (hahaha). Every time Aspen entered the picture, I was rolling my eyes at them and that's sad, because I love stories about forbidden love. But a little variation in dialogue would have been nice. Apart from Aspen and America, I also really disliked Maxon in the beginning. But that may have had most to do with this line: "You are all dear to me. It is simply a matter of discovering who shall be the dearest." Oh boy.And yet - even though Maxon had the tendency to call every girl in the competition "my dear" like a creepy eighty-year-old - he quickly became my favorite character of the bunch. Sure, he sent America to her room because she "insulted him" which was a bit much, but overall, Maxon was sweet. I mostly liked his friendship with America, because that was adorable. America, to me, was an okay character. Starting off as someone I could not sympathize with at all, she actually grew on me throughout the story. And while I wish she would have had more depth, I like how she wouldn't let anyone change her and how she stood up for what she believed in. I definitely ended up rooting for her and Maxon to be together.My biggest issue with The Selection was the world building. The most important aspect of a dystopian novel is the world building. Unfortunately, this certain aspect was underdeveloped. While the concept of castes in a dystopia intrigued me and I could forgive and forget the weird names Cass came up with, I wanted more explanation. And honestly, the fact that no one knew about the history of their country made me think that the author didn't know herself either. But the thing that most confused me about the world building were the "violent rebel attacks". I appreciate that the author tried to create tension in the story, but it felt both unnecessary and cluttered to me. Not something to expect in a reality TV fairy tale.So even though I definitely ended up enjoying it, I couldn't ignore the issues I had with it while reading. It's too bad, because I think this could have been better if the writing had been better. Because the writing in The Selection is a good example of what happens when an author tells you what happens rather than to show it. We learn about the world and the characters because the author tells us about it, but unfortunately, this made me distanced from the story. But like I said, I definitely got caught up in the story, and I ended up really enjoying it despite my issues with it. The Selection is part Disney movie, part reality TV, part fairy tale. In a way, it enchanted me.